The Ministry of Health (MoH) formed 10 working teams on September 28 to fight dengue fever, the incidence rate of which has risen above the same period last year, in 20 provinces and cities. The teams will work with local Departments of Health and provincial or municipal offices to implement Dispatch 1632/CD-TTg issued on September 11 by Prime Minister. 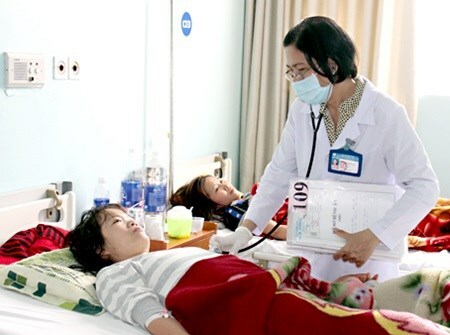 It stipulates intensifying efforts to contain dengue fever focusing on reducing patients and the death toll, conducting public information campaigns, and promoting inter-sector coordination. On the same day, the MoH also sent an urgent document to chairmen of provinces and cities on boosting efforts to mitigate dengue fever. The MoH asked localities to instruct health units to coordinate with sectors and political and social organisations to carry out campaigns to eradicate mosquito larvae.